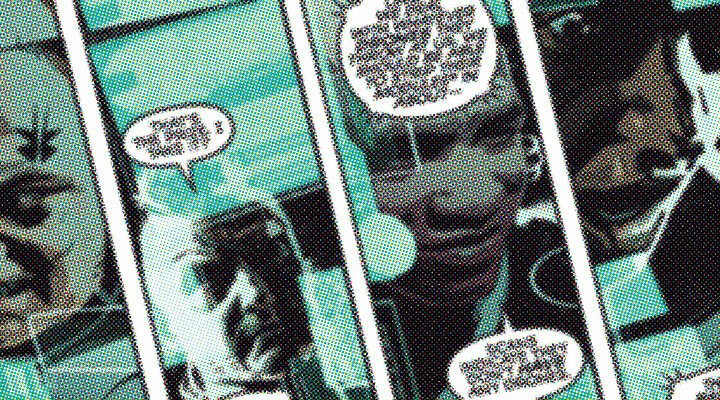 Awesomesauce: Dark Horse presents EVE – True Stories – Issue #1 out now! 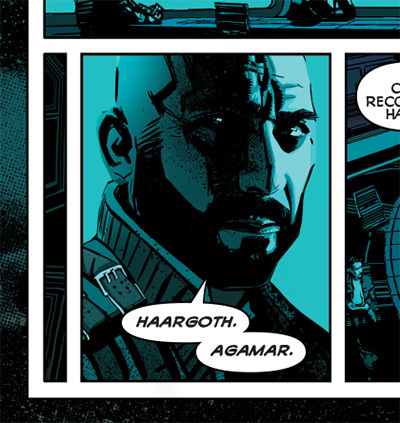 At EVE Fanfest 2013 we announced a partnership with Dark Horse Comics for the development of a comic book set in the EVE Universe. It’s here the first issue of EVE: True Stories, “Thieves Among Us,is available exclusively on Dark Horse Digital, readable on their web site, Android or iOS apps. 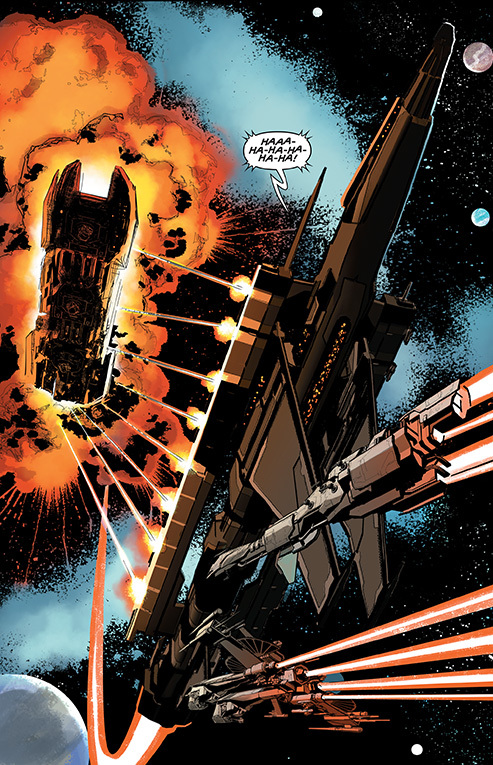 The EVE: True Stories graphic novel is unique in the sense that it‘s based on an actual massive player event that took place in EVE Online. The dismantling of the galaxy-sprawling superpower known as the Band of Brother is something actually happened and thousands of players participated in. Depending on your point of view it happened in February 2009, YC 111 or 23.347 AD. It was submitted to our True Stories collection website by someone who was there, and who, by his own accord, was an instigator of the events. There are many sides to this story–it‘s impossible to be objective. As we don’t endorse one version of the “truth” over others, we are taking the account that garnered the highest popular vote on the True Stories website, that of The Mittani, and adapting it with the help of Dark Horse’s excellent artists and writers. There were other great stories submitted and all were considered. In the end the story of the downfall of Band of Brothers was chosen as a classic story of betrayal and corporate espionage that EVE has become (in)famous for. Established comic book writer Daniel Way came on to the project and went on to adapt the story for the comic book format. Dark Horse brought in some excellent artists as well–Tomm Coker, Alejandro Aragón, Federico Dallocchio and Daniel Warren Johnson–each bringing their own unique flavor to the mix. We took the position that we wanted to maximize what everyone of these people could bring to the table and not hold them back or hamper them. Once the story had been chosen, CCP worked with Daniel Way to ensure ship classes, descriptions and nomenclature were correct, but we took the position to allow him to develop and adapt the story to fit the medium, and take dramatic license as needed. Same with the art. 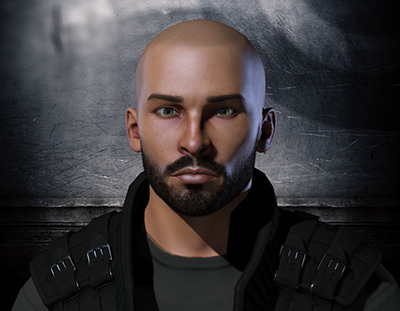 The artists were not under the art direction of CCP, rather we provided them with references and provided feedback if things were missing or wrong. But in general the concept was to allow a group of talented outsiders to interpret the story and the universe of New Eden with their own words and pictures. The result is a dramatic work based on subjective truth and artistic interpretation, rather than an objective, scientific analysis of the events that occurred. 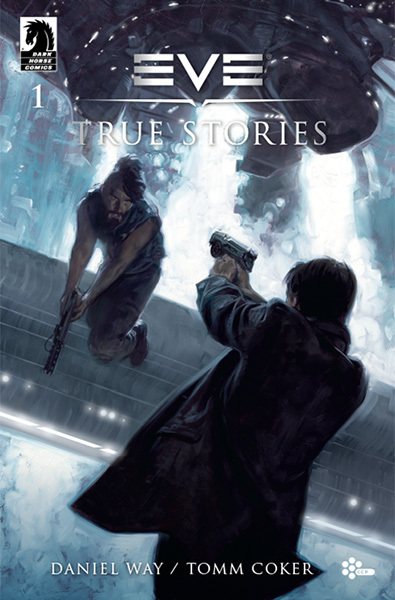 But if you want to read more, EVE: True Stories, “Thieves Among Us,” is now available as to download free from Dark Horse Digital. All issues will remain free until June, The hardback prestige collected edition of EVE: True Stories, containing all four comics, will go on sale in book and comic book stores, in June, 2014. Once it's out in print, True Stories will be available for purchase as an e-book on their app and through major e-book outlets. We are very excited to get your reaction, and hope you will enjoy this effort in bringing the complex web of drama and human stories from the often impregnable world of new Eden to a wider audience, and to get a new perspective on its events, it’s people and its visual style. Do you mind if I quote a few of your articles as long as I provide credit and sources back to your site? My blog is in the very same area of interest as yours and my users would genuinely benefit from some of the information you present here. Please let me know if this alright with you. Thank you! And that is an funding threat value taking. and I’m shocked why this twist of fate didn’t happened earlier! Yes! Finally someone writes about hey. I enjoy reading a post that will make people think. Thanks for finally talking about >Awesomesauce: Dark Horse presents EVE – True Stories – Issue #1 out now! – Eve News24 <Loved it! It’s good to come across a blog every once in a while that isn’t the same unwanted rehashed material. I do not even understand how I finished up right here, but I assumed this submit was once good. famous blogger when you aren’t already. Cheers! I simply want to say I’m beginner to blogs and honestly enjoyed this web-site. Almost certainly I’m planning to bookmark your site . You absolutely come with tremendous articles. Bless you for sharing with us your website. When some one searches for his essential thing, so he/she needs to be available that in detail, so that thing is maintained over here. It’s simple, yet effective. A lot of times it’s hard to get that “perfect balance” between superb usability and visual appearance. I just want to mention I am beginner to weblog and certainly savored your page. Very likely I’m likely to bookmark your site . You really have superb well written articles. Regards for sharing with us your web-site. I had choices from essays to videos and I figured blogging can be fun. Can you give me a good free website and a little help on how to get started with what to say, and whether i put it under one day or do it every day until its due. Please help and I promise to select you as the best answer if it helps!. topic nevertheless I just had to ask. Appreciate it! I would like to change my blogger archive frequency from 1 month to longer, like 3 months. How do I do this?. I’m developing a new blog site about literature (what I’ve reviewed, what I read), yet I’m having trouble thinking about a title. I such as the concept of something concerning a fascination with literature yet I think bookophilia is on the average side. What do you consider Litophilia? Is it also comparable to “lithophilia” Which indicates the love of rocks? Any concepts? Many thanks!. pnGKUi Wow, fantastic weblog format! How lengthy have you ever been blogging for? you made running a blog glance easy. The total glance of your web site is wonderful, let alone the content! oyYrPU to my followers! Excellent blog and outstanding design. In other words, exactly how do i look for blogs that fit what I wish to check out? Does anybody know just how to CHECK OUT blog sites by subject or whatever on blog writer?. Leave a Reply to Sylvester Click here to cancel reply.